HomeTech-FestNEWS: UK Tech-Fest announce second wave of bands and headliners! 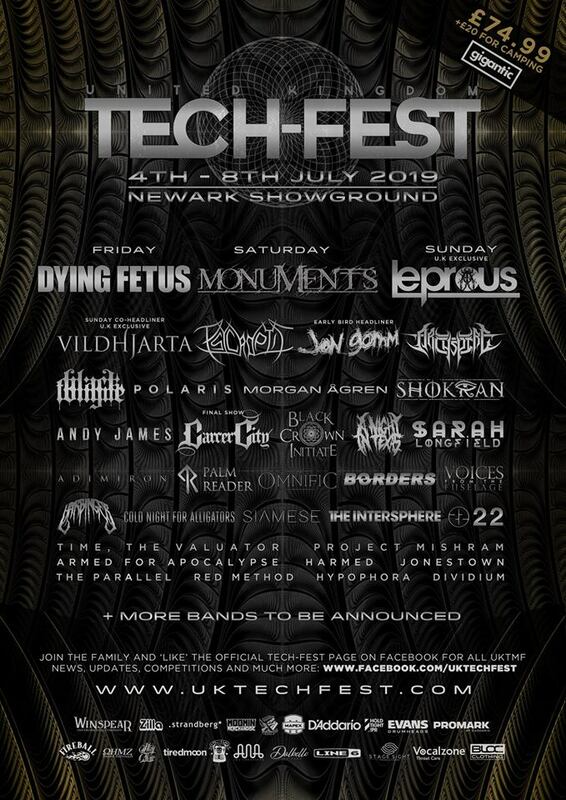 After missing their announcement due to a Facebook and Instagram outage, UK Tech-Fest have announced their 2nd wave of bands! The announcement comes with news of a new VIP offering for this year and a couple of interesting exclusives! Liverpool Tech-Metallers Carcer City had announced their final EP “Silent War” and a final tour run, however this has now been extended to include a “final show” at this years festival! NEWS: Seether announce UK dates in May! NEWS: Dream State February headlining run! NEWS: Ginger Wildheart announces tour dates and new Acoustic Album!